Bonn, 24 April 2015 - Institutions and citizens from all nations are invited to nominate individuals or institutions – governmental and non-governmental, including community groups or private sector enterprises – of any country in the Agreement area for the fourth edition of the AEWA Waterbird Conservation Award. If you wish to nominate an individual or institution deserving particular merit, please submit your nomination to the UNEP/AEWA Secretariat (aewa.secretariat@unep-aewa.org). The deadline for submission of nominations is 19 June 2015. The AEWA Waterbird Conservation Award 2015 includes a cash prize of USD 5,000 and will be decided upon by the AEWA Standing Committee at its 10th Meeting on 8 – 10 July 2015 and presented to the winners in both categories at the 6th Session of the Meeting of Parties to AEWA on 9 – 14 November 2015 in Bonn, Germany. The AEWA network unites the experience, knowledge and pioneering spirit of so many dedicated stakeholders, all of which deserve recognition in their own way. This Award was established in order to recognize and honour institutions and individuals within the Agreement area that have made a significant contribution towards the conservation and sustainable use of waterbirds. 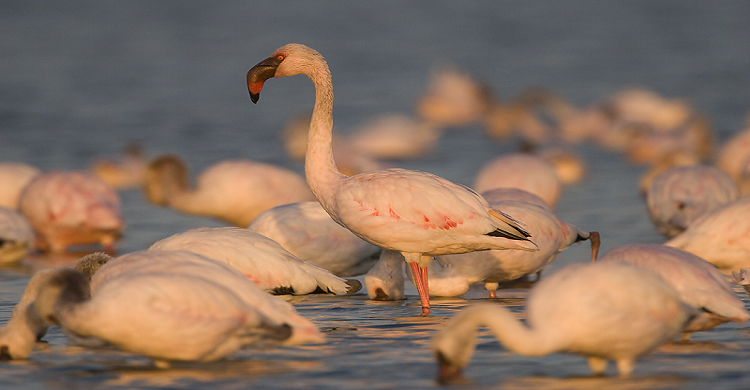 In the individual category in 2012, the late Dr. Brooks Childress, former Chair of the IUCN/SSC/WI International Specialist Group on Flamingos, was chosen as the winner. The International Wader Study Group (IWSG) won the Award in the institutional category in 2012, having facilitated the work of AEWA through its ongoing research, data synthesis and educational activities. It was honoured, in particular, for its development of a strategic approach to flyway conservation in the 1990s. Click here to read more on the 2012 AEWA Waterbird Conservation Award. The UNEP/AEWA Secretariat warmly thanks all past award winners for their contributions to waterbird conservation in the AEWA region, and hopes that this award will continue to serve as an inspiration for all the many conservationists working together towards the protection of AEWA species. For more information on the criteria and procedures and to download nomination forms please click here.